Our Practice | Gregory A. Wiener, M.D., F.A.C.S. Whether you are considering enhancing your image or eliminating the effects of aging, cosmetic surgery can enrich and rejuvenate your appearence, allowing you to feel more beautiful and self-confident. Dr. Wiener and his staff are dedicated to obtaining the finest results possible in aesthetic surgery, as well as providing the best in personalized individual care. We also specialize in providing in-depth consultation, addressing your concerns and expectations to make sure you feel comfortable about the procedure every step of the way. As a board-certified surgeon, Dr. Wiener utilizes the latest technologies in procedures ranging from body contouring and breast augmentation to facelifting and nasal reshaping. Emphasis is also placed on skin care, laser surgery, and a variety of non-invasive procedures, all done in the comfortable, relaxed setting of Dr. Wiener’s certified surgical center on Chicago’s Northwest side. 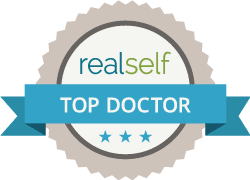 To learn more about how plastic surgery can help you realize a new self image, please explore this site further, or contact us to schedule an initial consultation with Dr. Wiener. Please call our office @ (773) 763-3990 to schedule an appointment or consultation. New patients are always welcome. Our staff will be pleased to assist you in any way possible and all efforts will be made to accommodate your schedule.